Yes, the title of this article is meant to be a bit provocative. And there’s little arguing that a client’s value can be determined in numerous ways. Today, I’d like to leave aside discussions of a client’s inherent worth as a human being and the pleasure we derive from helping another person and discuss something far more important to the health of your practice. Most businesses generate a substantial amount of profit from clients who keep repurchasing, again and again – over the months, over the years, over the decades. Very little of that profit would be there if you didn’t bring those clients into your business in the first place. 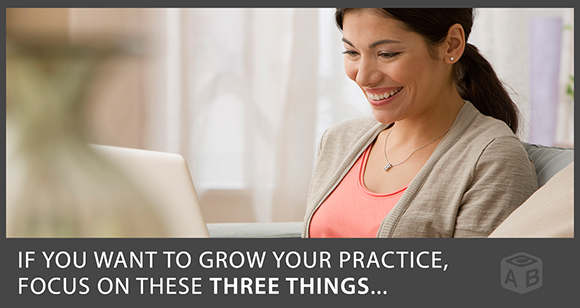 How much would it be worth to your practice if you could bring in an extra two, five, or even 10 clients this month and every month? Even if you don’t make a single dime on the initial session, but instead make enormous combined profits on all the future sessions you have with them? Most therapists – in fact, most businesses – make it far too difficult for clients to start a relationship with them. If you lower or totally eliminate the hurdle in starting a relationship, far more people will begin one with you. If you deliver great value, service, and results, these people will keep coming back to do business with you. And the fact that you were the only service provider with enough faith in yourself and your services to take the risk instead of putting the risk on their shoulders will be remembered favorably by these clients. The faster you get a relationship started, the faster someone will convert from prospect to long-term client. Many companies increase their clients and profits merely by shifting their focus from trying to make profits on the acquisition of a new client to making their real profit on all the repeat purchases that result from those new clients. The classic examples are the book and music clubs. Why would big, astute companies like Columbia House or Book-of-the-Month Club possibly be willing to send you six to twelve CDs or books for a dollar or two initially? Do you think they lose money long-term on those transactions? Or do you think they recognize that for every 10 or every 100 people coming in, a large number will keep buying over and over again at the full rate? They want to do everything possible to make it easy and attractive to get you started buying and using their service in the first place. By doing this they do tens of millions of dollars a year from the people who come in on that break-even proposition. Similarly, many credit card companies offer a low interest rate for the first six months and many service companies offer the first thirty days of their services for free. Until you identify and understand exactly how much combined profit a client represents to your business or practice for the length of that relationship, you can’t begin to know how much time, effort, and, most importantly, expense you can afford to invest to acquire that client in the first place. You need to know the long-term value of your clients (what Jay Abraham refers to as your clients’ “marginal net worth”). Knowing how much a client, on average, will spend with you over a period of months or years tells you how much you can spend on the process of acquiring a client. The most profitable thing you’ll ever do for your business is to understand and ethically put to use the marginal net worth of a client. What is the current long-term value (or marginal net worth) of one of your clients? It’s the total profit of an average client over the length of his or her patronage less all advertising, marketing, and incremental service-fulfillment expenses. For a quick example, let’s say, on average, you see 20 clients per week at an average rate of $100 per session. That’s 80 sessions per month for a total monthly gross profit of $8,000. Now, let’s say your total operating expenses (including office rent, utilities, marketing expenses, etc.) is $2,000 per month. So your net profit each month is $6,000 or $75 per session ($6,000 divided by 80 sessions). If your average client sees you for 20 more sessions, with an average per session profit of $75, then it can be said a new client is worth $1,500 to your practice’s bottom line. You could, therefore, theoretically, afford to spend up to $1,500 to bring in a client and still break even … And this doesn’t take into account that your efforts to attract one new client will often attract far more than one, as well as the fact that each new client is a potential referral source for yet more clients! Determine your average per session fee and your profit per session. Compute how much additional profit a client is worth to you by determining how many times he or she comes back. Once you’ve calculated the long-term value of a client, you have many ways to accomplish your break-even objective. While reducing your price is the most obvious way to get a client to schedule an initial appointment, there are other, more powerful ways to obtain first-time clients. Ways that lead to you getting better clients, as opposed to attracting clients whose only focus is on cost. For example, you can calculate your allowable marketing or selling cost. This is how much money you’re willing to either spend or forgo receiving (by reducing your first session price), in order to make that very first transaction more appealing to a prospective client. Again, let’s say you charge $100 per session and your advertising, marketing, and incremental costs to provide therapy cost you $25 per session. Assuming your average client returns for numerous sessions and you will realize a good long-term profit, you can obviously reduce your price by $75 on the first session to reach a break-even point and gain a new client. But you could put that $75 to a number of other uses. You could keep the price at $100 and give the $75 to a client to buy more of your service. So you still charge the full $100, but you give prospects two times the quantity on the first purchase (say two hours or sessions instead of one). Or you could still charge the full $100, but provide an additional service (such as a first session in a complimentary therapy group or a ticket to a workshop). Or you could take the $75 and use it to buy other complementary products or services at wholesale (self-help books, yoga, massage therapy services, etc.) to package and add to your product or service without raising the $100 price – so the value of your offer becomes far greater and thus more attractive. Or you can use that $75 to invest in advertising, sales letters, free seminars, or any other marketing programs. These are but a few examples. The only limitation you have on how to use your allowable marketing or selling cost to help you strategically break even on the initial session is that, after testing it out, it must be economically viable in the long term. This strategy, when applied, can make your conventional-thinking, nonstrategic competitors look far more expensive and appear to offer significantly less value. And you will gain visible distinction, attract more clients, and seed significant profits for the future. Using the formula provided above, determine your average client’s marginal net worth. Next, make a list of every product or service you sell. Then figure out how you can lower the resistance barrier for a prospective client by increasing the value you provide and/or lowering the initial fee you ask. And I’d encourage you to use your creativity to find ways of adding value. You never want to compete solely on price! That being said, a new client first coming in for a lower-priced starter offer may turn into a client who buys over and over at your full fee (I’ve had this happen countless times). Try it out using a small, safe test approach first. You don’t need to overhaul your entire marketing strategy overnight to begin using these concepts. I think you’ll be pleasantly surprised by how many people take you up on your proposition. Helping prospective clients want to start a business relationship with you by lowering the barrier of entry can and will produce significant practice-building results! Are you already lowering the barrier to entry for new clients? If so, how? What strategies can you come up with to put this information to work for you? Be sure to share your thoughts and questions below, so we can all learn from and help each other!